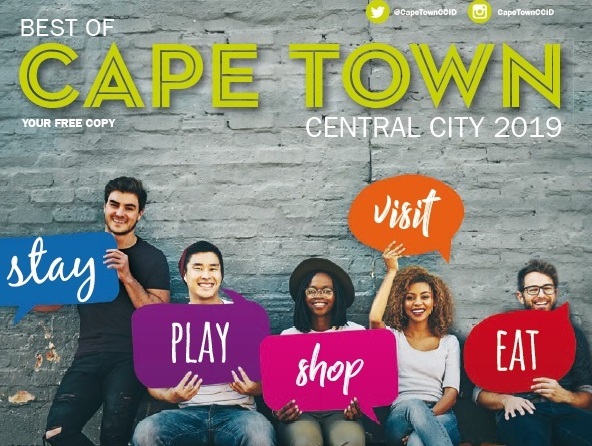 The CCID has released its 2019 edition of the Best of Cape Town Central City guide featuring over 300 places to enjoy in the CBD to complement 900 others that can be found on its website. The entertainment, shopping, sightseeing and culinary guide to the Cape Town CBD, published by the CCID in collaboration between its Communications department and New Media Publishing, showcases the best of what the Central City has to offer both locals and visitors. Says CCID project coordinator, Aziza Patandin: “Every year, together with our partners at New Media, we strive to make the guide unique so that everyone who comes across it derives great value from it and fully experiences what the CBD has to offer. We’re proud of what we’ve put together and this year is particularly exciting as we’ve seen a lot of enjoyable and diverse new venues make the CBD their home. In October, the guide (2018 edition) was awarded a Certificate of Merit at the International Downtown Association (IDA) 64th Annual Conference & Tradeshow held in San Antonio, Texas in the USA. It was selected by the IDA panel out of 83 submissions from across the globe. Says Carola Koblitz, Communications manager for the CCID: “The publication, in its current format, originally grew out of a relationship between the CCID and New Media Publishing. New Media, which still produces the guide, is also responsible for selling the basic advertising revenue that the guide derives, and which contributes to the overall costs of producing the publication. This also enables the guide to continue to be distributed as it always has been: free of charge. If you’d like to receive the Best of Cape Town Central City 2019 guide, email Aziza at aziza@capetownccid.org. The guide is also available online at: https://www.capetownccid.org/about-ccid/publications/Best-of-Cape-Town-Central-City/59 as well as on Issuu with clickable links to the various offerings in the CBD.